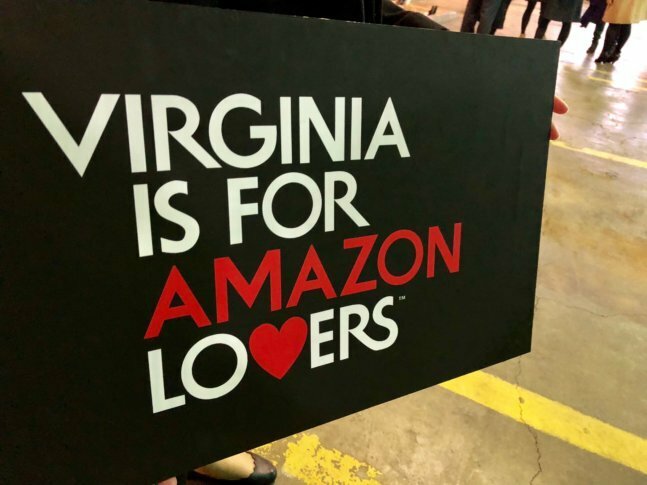 "We're proud that Amazon has recognized all the tremendous things Virginia has to offer," said Virginia Gov. Ralph Northam following the announcement that Amazon's new headquarters will come to Northern Virginia. WASHINGTON — It’s official. Amazon is moving to Northern Virginia, but a number of factors set the region apart from other cities vying for the tech company’s favor, including its tech-savvy workforce. “We’re proud that Amazon has recognized all the tremendous things Virginia has to offer,” said Virginia Gov. Ralph Northam following the announcement. In welcoming the tech giant, Northam noted the projected 25,000 to 38,000 jobs coming to the commonwealth. “I would estimate it at like 80 percent of the decision came down to the availability of talent,” said Alan Berube, senior fellow of the Brookings Institution Metropolitan Policy Program. The region’s existing cybersecurity and defense workforce lends itself to quickly filling Amazon’s positions, which are expected to open up over time. “It’s a bigger signal to the marketplace in terms of this is a region where other large tech companies, software companies, can find the kind of talent, the kind of ecosystem, between the companies, the workforce, the education system that can make them a leader in the global marketplace, too,” Berube said. “(Reagan) National Airport is just steps away, so the workforce from Seattle can come in and out,” said Berube, who added that the available office space and access to public transit was a big selling point. Of course, there’s the proximity to Congress and another important location. “Jeff Bezos has a house in Washington, D.C. He’s the owner of The Washington Post. What the CEO wants matters a lot, too,” he said.